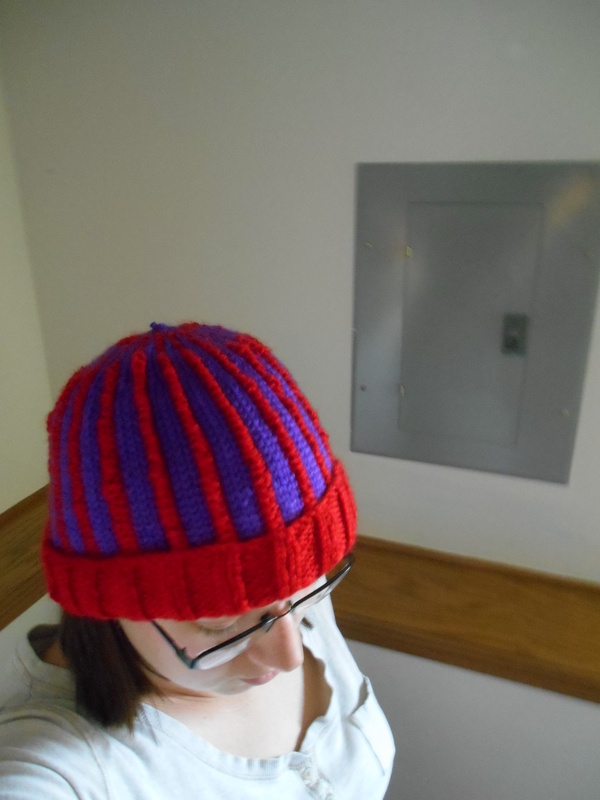 Red and Purple Hat Finished! 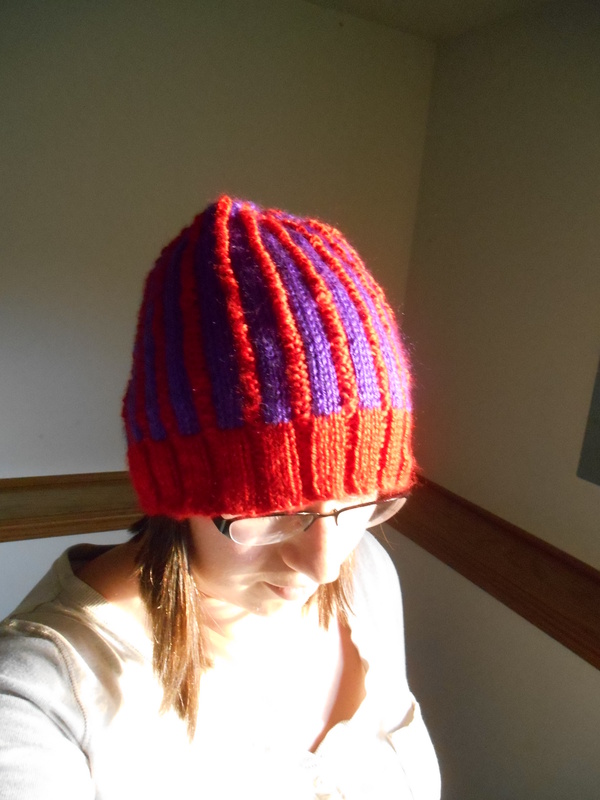 I finally finished the hat today that I’ve been working on for a while. It’s for one of my aunts. I used the Be Kind pattern on ravelry. 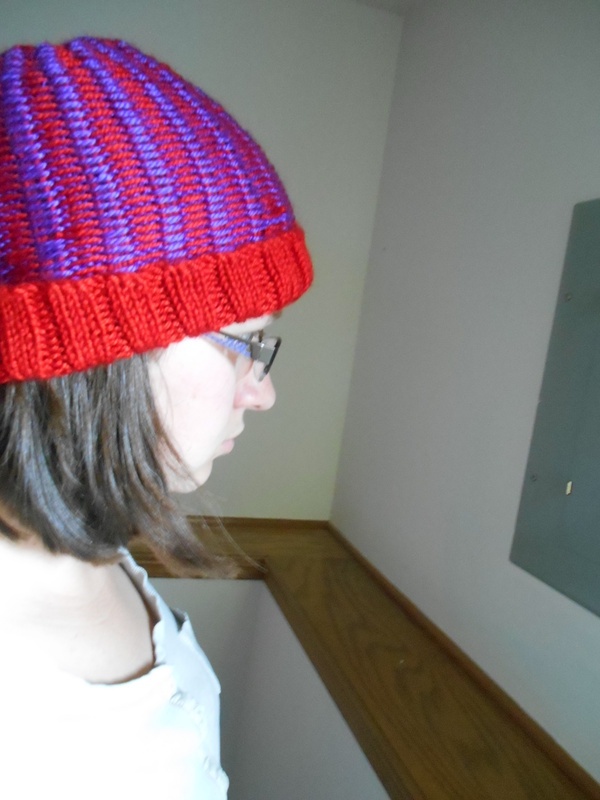 I changed the bulk of the pattern in that I the purl stitches are red and the knit stitches are purple. I have rather fallen in love with stranded knitting, changing colors and so forth. It’s pretty awesome. I’m only modeling it for picture purposes. I actually like the reverse side of the hat better than the right side. I suppose you could wear it however you want. This is the right side of the hat. You can wear the solid red part of the hat over your ears or flip it up if you like, as in the rest of the pictures.